Pick Your Theme! – You can purchase a GREAT premium themes will all the bells and whistles. I enjoy Themeforest, Elegant Themes, andCreative Market! Creative Market is great for fonts, WordPress themes, and graphics! Mailchimp Email Automation Course– Are You Ready To Take Control Of Your Email Marketing? Email marketing is all the rave and you hear about it just about every day on social media. During this course, we are going to focus on connecting your MailChimp account to your website and Facebook, create lists, create freebies and create a welcome sequence. We will also focus on different strategies for selling to your lists and communicating with them efficiently. Start Your Business Masterclass– Ready To Start A Profitable Business Venture? Crab this 7 course bundle. 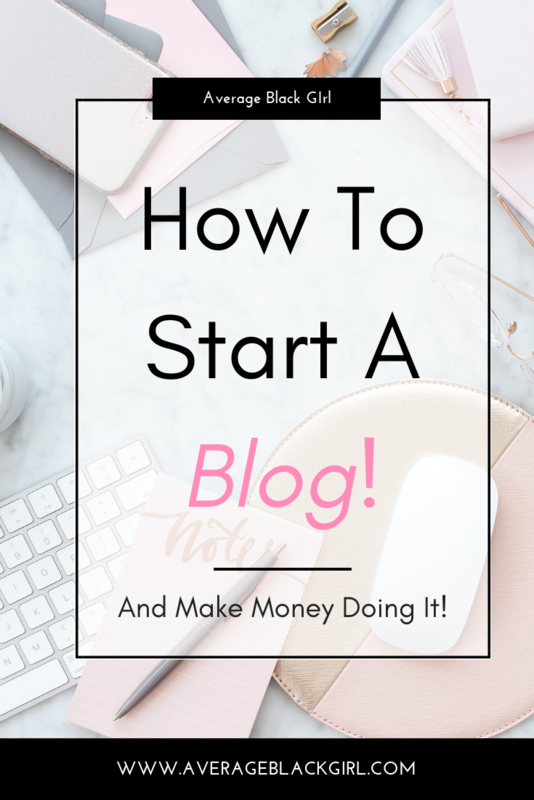 Whether you are trying to start a business, make a blog that is profitable or want to increase your income and perfect your current processes this is for you! This course is one of the signature courses for Above Average University and will be continuously updated! This course will hold your hand and take you step by step from idea phase to mission and vision creation to website design and marketing strategies for major platforms such as Facebook, Youtube and more! Whether you are trying to become a full-time entrepreneur or a savvy side hustle professional this is the course for you! Make Your LinkedIn Irresistible– Want To Make Your LinkedIn Irresistible? You hear from everyone around that you should create a LinkedIn account. Once you do, it can be overwhelming on how to find your voice and grow your network. Chances are, your ideal target, company sponsors and business partners are on LinkedIn. Let me show you how to find your voice, make connections with your target and use LinkedIn as a lead generator for your business or professional brand! Whether you are an entrepreneur or a corporate professional you can utilize LinkedIn for your needs. These strategies will show you my exact system for increasing traffic to my site, gaining new clients, and speaking engagements. Upgrade Your Resume– Ready To Create The Ultimate Professional Career Package? Are you ready to take your career to the next level and want to create the ultimate packet so that you are prepared for the next phase in your life? Do you plan on applying for that big promotion this year and want to be completely prepared way ahead of time? Are you ready to change job completely and start making the money you deserve and you know your resume, cover letter, and interview skills are holding you back? Start Your YouTube Masterclass– Are You Ready To Start Your YouTube Channel? Youtube is a great source for content creation. You can use it to house your previous speaking engagements, become an expert teacher in a certain topic, vlog and become an influencer by promoting different businesses. I currently use YouTube to do all of the above and you can too! YouTube can be a lead generator to your business and help to attract your ideal customers. Increase Your Facebook Likes + Engagement Masterclass– Are You Ready To Create A Strategy For Working Your Social Media? Digital Marketing is HERE TO STAY! It is not going anywhere and it is best you get a strategy in place so you know what to do every day and do not feel like you are wasting your time. Come with me and let’s create a strategy for your business on social media that will allow you to track your success, run marketing test and build your brand! Branding 101– Ready To Build Your Branding Personality? Are you ready to take your branding to the next level? Do you look at your favorite blogger and want to make graphics, posts, and a brand identity similar? QuickBooks– QuickBooks helps keep everything organized in one place. And, if you have an accountant, share your books for seamless collaboration. Make sure you get the QuickBooks app and track your mileage too! Like This Page? Pin It!